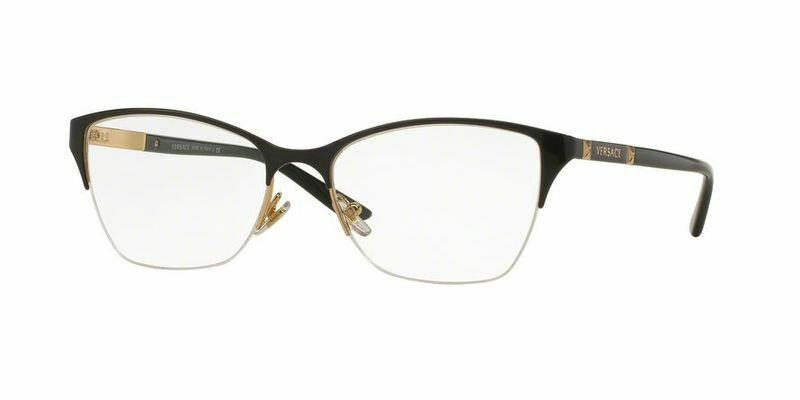 Made out of a blend of high-quality metals, these metal Versace VE1218 eyeglasses are a popular choice if you're looking for durable eyewear that will stand the test of time. The great thing about these intelligent looking eyeglasses is that you will still have that all important lens support from the upper rim, but at the same time you'll also be able to literally see the bigger picture, making these the perfect eyeglasses for reading. These vintage inspired couture butterfly Versace VE1218 frames will have you feeling like you're the queen of all. Rock this classic boho look and hide behind your larger than life Versace VE1218 frames, because these sunglasses will surely draw attention to your natural beauty and bring more balance to thinner faces. If you were buying a new suit, you'd expect it to fit perfectly to your body, right? The same goes for your glasses. A high temple positioning will create more comfort to for those with rounder features.